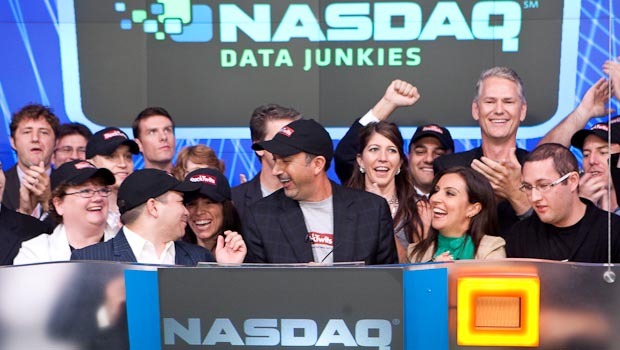 I want to take a moment to congratulate the StockTwits guys who rang the closing bell for yesterday’s trading session over at the NASDAQ Marketsite. I met Howard Lindzon, Upside Trader and the rest of the gang at a Bacchanalian loft party earlier this summer. They’re all great guys and, without a doubt, they are true believers. They genuinely love what they do and take their mission to democratize trading intel seriously. All you need to join the StockTwits network is a Twitter ID and an interest in the markets. Congrats guys, I’m a huge fan of what you’ve built.